A response criticizing WSN’s editorial that ran this week, attempting to clear up the circumstances of why the Israeli flag was hung in front of the Palestinian flag. I’d like to start by thanking the Washington Square News Editorial Board for allowing me the opportunity to voice my opinion. However, it is due to what I have perceived as the publication’s failure, that I feel my thoughts and concerns are necessary to share. 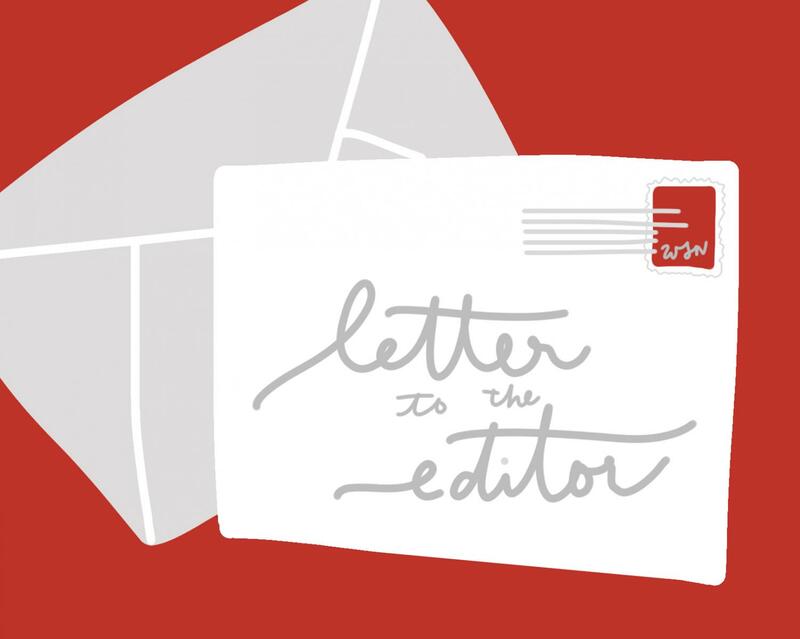 On Monday, Oct. 29, the Editorial Board published an opinion piece titled “Protecting the Right to Advocate at NYU.” In no way am I arguing this sentiment or disagreeing with the right to advocate, but I do find flaws in the portrayal of facts in this piece, as well as clear bias and lack of journalistic integrity due to the failure to fact-check and seek alternative perspectives on the matter. The piece opens with a description of events that transpired in the Kimmel lobby last Tuesday. My depiction of the circumstances comes from a first-hand account of a student present, as well as from a personal conversation I had with the Rabbi at the table where the Israeli flag was displayed. 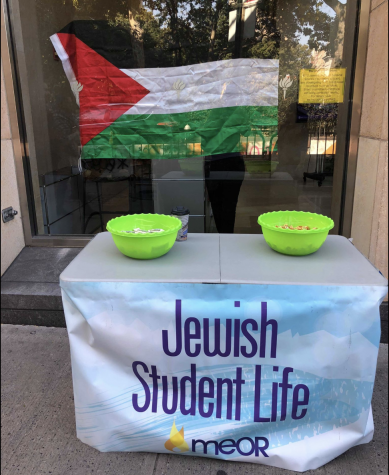 The statement neglects to include the fact that Meor, a Jewish student group, was tabling outside of Kimmel concurrently with SJP on the inside. After about 20 minutes of tabling, SJP, unprovoked, hung the Palestinian flag inside the window behind Meor’s table. The presence of this flag behind the table caused confusion among students walking by, leading them to ask the Rabbi who was present why he was tabling with a Palestinian flag. It was only after the Palestinian flag was hung and this confusion ensued that a Meor representative at the group’s table hung an Israeli flag behind them. This flag was not intended to obscure the vision of the Palestinian flag to those working at and visiting the SJP table. It was only intended to serve as a backdrop for their own table that they felt was more representative of what they stood for and would be less confusing to students. The Israeli flag, while often conflated with the pro-Israel cause, is at its core a traditional symbol of the Jewish religion due to the representation of the Star of David. It represents Israel as a historical homeland of the Jewish people, separate from the modern state of Israel, as well as Jewish values. The group in question is a non-political organization. It is a religious organization dedicated to inspiring Jewish students who want to learn more about their Jewish history and culture. The group does not have a pro-Israel stance and believes everyone has a right to advocate for their cause. The assumption that hanging the flag was an effort by student Zionists who are against SJP and other supporters of Palestine is blatantly false. Meor is neither Zionist nor against SJP. When SJP chose to hang their flag behind Meor’s table, they conflated Judaism with Zionism. This was an attempt to bring a Jewish religious group into a political conflict, on which it has adamantly refrained from taking a stance. While SJP does table inside Kimmel every Tuesday, it does not hang a flag in the window of Kimmel every Tuesday. To hang a Palestinian flag strictly in response to the presence of a Jewish student group is anti-Semitic. 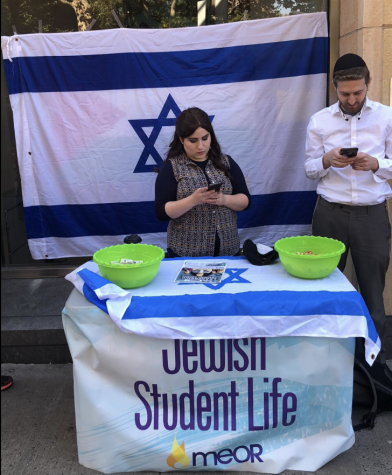 When a Palestinian flag is placed behind a Rabbi promoting Jewish student life, it does not take much more than common sense to recognize that as morally wrong. With the rise of fake news in journalistic media, it is all the more important to combat false information conveyed to the public. I hope that we all can collaborate to stop the spread of false information and dedicate ourselves to relaying the truths about events on campus. I understand and admire WSN’s intent, but the “case of flagrant campus disrespect” used to characterize this incident is misdirected. When all of the facts are laid out, it is obvious that the recipients of disrespect were the Jewish students.